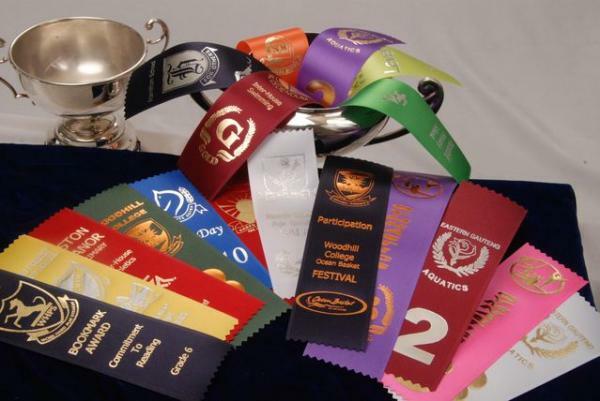 Ribbon Awards are considerably less expensive that traditional prizes, and they do not require framing or engraving. 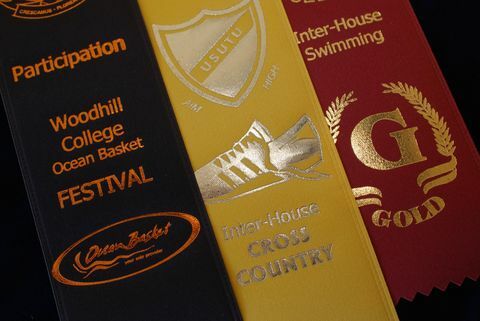 Thus it is possible to hand Award Ribbons out for event participation, which is important for pre-schools and young children taking part in non-competitive sports and fun events. The ribbon used is 50mm wide and is certified organic, is fashioned from nature and is fully biodegradable. 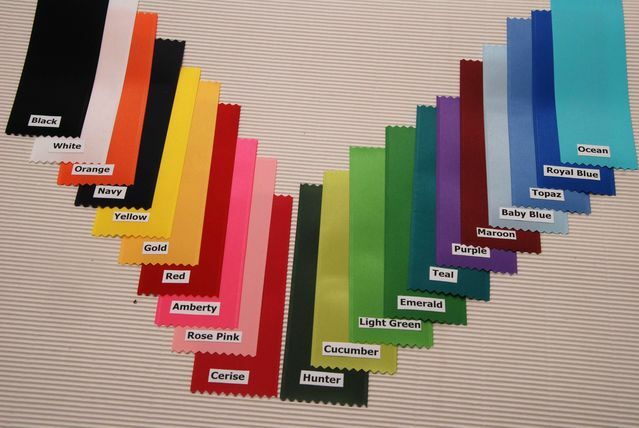 We have a wide selection of colours available (see picture below). Foil printing can be done with gold, silver or bronze foil. 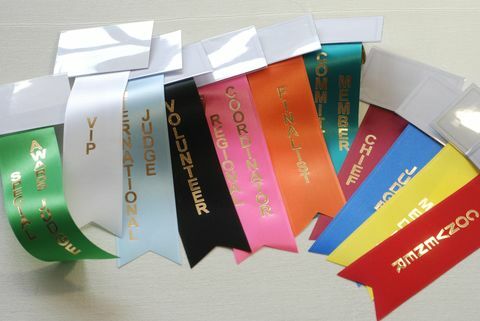 Award ribbons can also be attached to name badges for conferences. 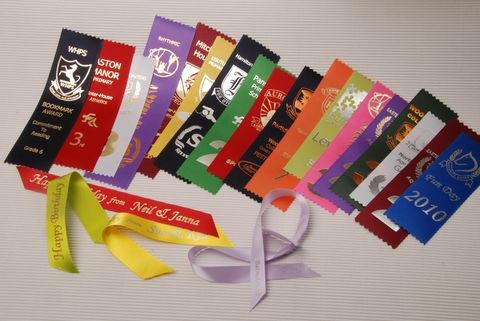 Award ribbons can be placed in year books and albums or displayed on walls in home lounges, family rooms and in the bedrooms of children.